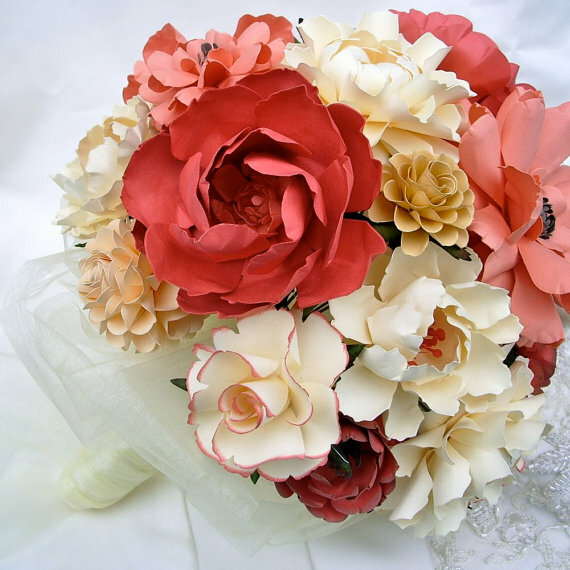 These gorgeous vintage floral damask wedding invitations – recently added to The Marketplace by Citrus Press – is one of our new hand-picked favorites! 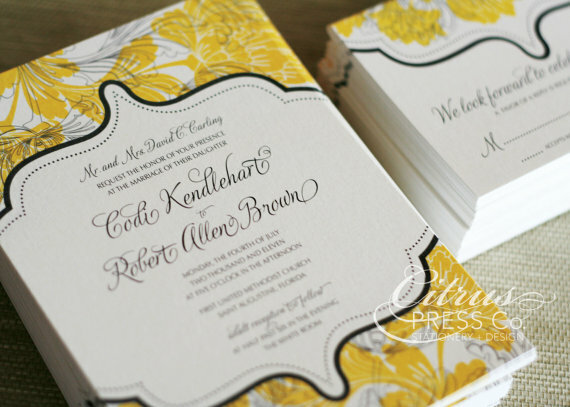 It combines a pretty palette of yellow and black with a damask pattern and pretty typography. 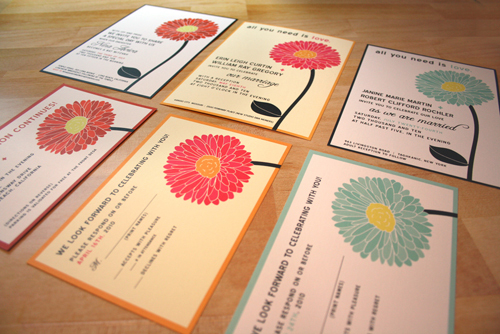 This invitation can also be customized for your rehearsal dinner or bridal shower. 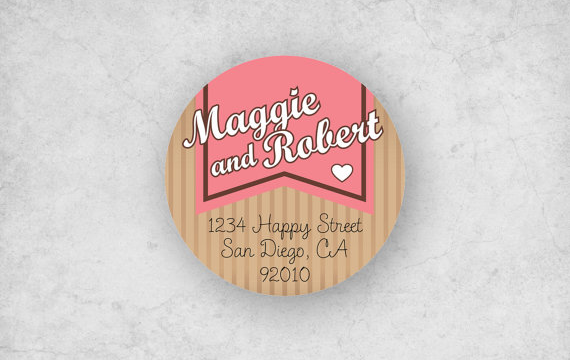 And, you can choose from custom colors to match with your wedding palette, too! To order yours, visit Citrus Press.